BHLDN has launched its largest beach and honeymoon collection to-date, kicking off the summer travel season with an assortment of bohemian day dresses, beach-ready footwear and playful cover-ups — all expertly curated for newlyweds and travelers alike. 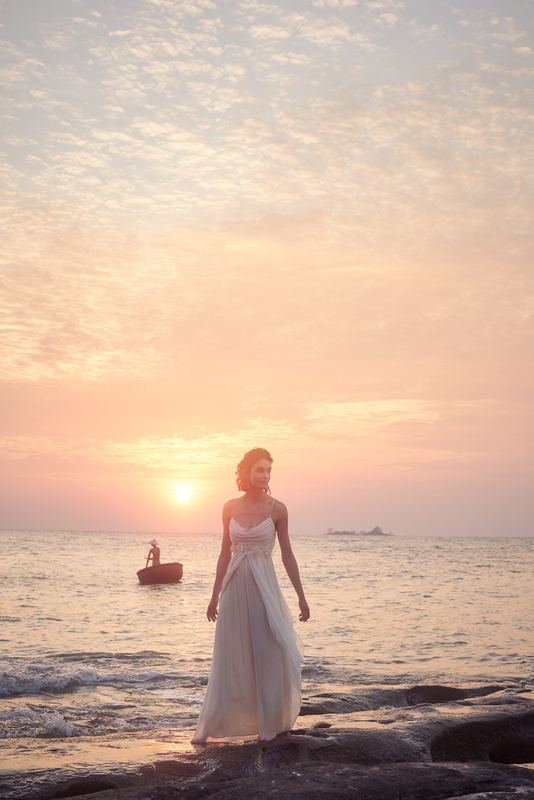 Shot on the idyllic beaches of Phú Quốc, a tiny island at the southern-most tip of Vietnam, by photographer Kevin Mackintosh and starring model Pauline Van Der Cruyssen, the images featuring the collection capture the ultimate honeymoon destination. Detailed cover-ups, off-the-shoulder dresses, silky, beaded kaftans, bikinis, jewelry, and pieces you can wear from the beach to dinner, make up the collection's white and cream color scheme. In addition, it includes floral robes in various colors and patterns, perfect for bridesmaid gifts.